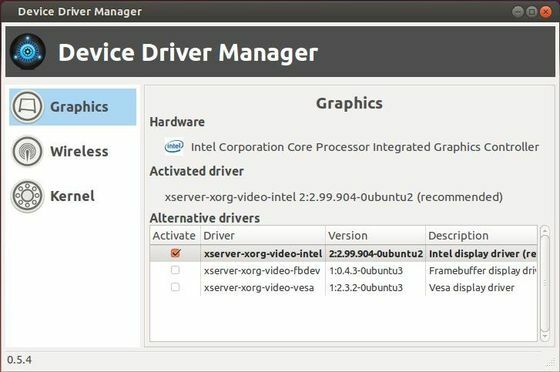 Device Driver Manager is one of Linux Mint application makes it easy to manage open source and proprietary graphics, wireless drivers. Currently Nvidia, ATI, Intel, VIA and Broadcom are supported. It also checks whether or not the PAE kernel can be installed on multi-processor 32-bit systems. 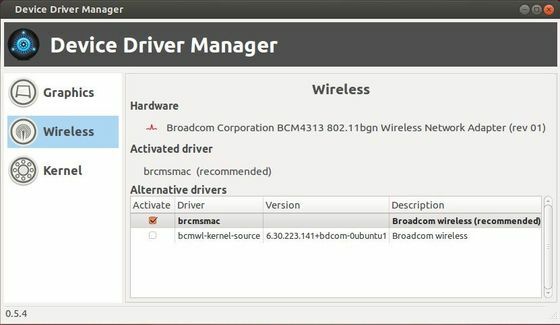 The Device Driver Manager is an independent application, boot the application will scan your system for any available drivers, just select a driver or kernel, DDM will download and install the appropriate packages uses available repositories on your system.